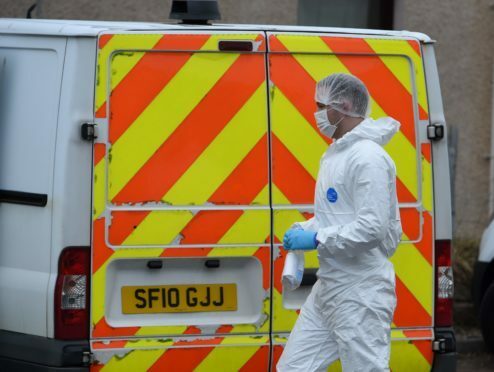 Police and forensics at an address in Ernest Hamilton Court in Elgin, Moray. Five people have been arrested in connection with an alleged late-night disturbance in Elgin that left three injured. Police officers and forensic teams could be seen going in and out of a property in the town’s Ernest Hamilton Court. A police spokesman confirmed officers were investigating a disturbance in the area, which took place at around 11pm on Thursday. The three people who were hurt in the incident sustained minor injuries. Police are now appealing for anyone who has information about the incident to phone 101. Detective Inspector Fionnuala McPhail said: “We are not looking to trace anyone else in connection with this incident and it was contained within a small group.